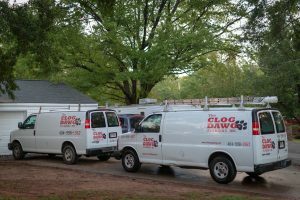 The Clog Dawg offers sewer repairs. When your sewer backs up in your basement or into your home, it can be a huge headache. 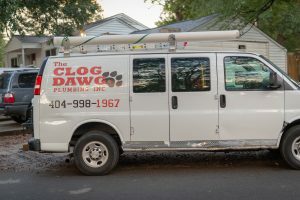 You need the sewer opened, cleaned and repaired quickly.The Clog Dawg has drain plumbers and sewer plumbers on staff to inspect your drain and handle all your sewer repairs and replacements in your Atlanta area home. For all Sewer repairs, request service here or call us at 404-998-1967. 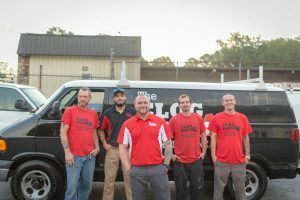 Sewer Pipe Repair Atlanta – Main Drain Clogged? If you notice any of these or your main sewer drain is backing up, call us at 404-998-1967 so we can get your sewer line repaired quickly and efficiently! If your home is older and the sewer line has never been replaced, then it is almost inevitable at some point it will have to be. Many older homes sewer lines were made of clay, and over time, where the clay was sealed together breaks down and tree roots can enter your main line. Changing temperatures can also cause sewer lines to rupture or disconnect. When you main drain, typically in your basement, backs up, it is more than likely your main sewer line. You will have options to either repair or replace the sewer. If you choose to do a Sewer Repair, it is typically a spot repair with no guarantee it won’t happen again in another spot. If you choose to do a Sewer Replacement, you have a few options that are permanent, and you will never have this issue again in your lifetime. To learn more, visit our sewer replacement Atlanta page. If tree roots are clogging your sewer main line, you can either choose to have a spot repair or replace your sewer drain. Unfortunately, if you choose to do a spot repair, you will most likely have to call a plumber again in a few months. Tree roots love the moisture and nutrients in your sewer line and won’t stop growing, even if you use a rooter. Also, if your sewer pipe is old and you choose to do a spot repair, you will probably have to do another spot repair somewhere else along the sewer line. 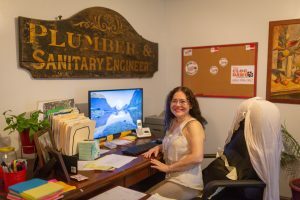 Need to discuss a sewer repair?